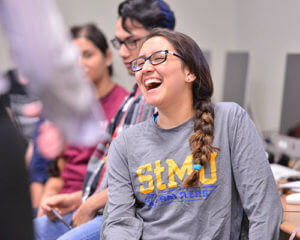 The Portuguese minor at St. Mary’s University is unique in the city of San Antonio and was created at St. Mary’s in 1999. Spoken by more than 250 million people in the world, Portuguese is a world language that enhances the academic and professional profile of any student planning a career with an international component, in international business, international relations, economics, anthropology, sociology, etc. Students majoring in International Business can fulfill the Area Studies requirement of the major in advanced level Portuguese classes. 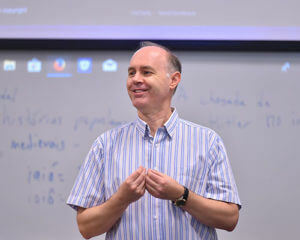 The lower-level courses in Portuguese fulfill the St. Mary’s foreign language requirement for all majors. Speaking Portuguese increases your marketability, as more businesses, government agencies and nongovernmental organizations seek tri-lingual (English-Spanish-Portuguese) speakers to cover Latin America. Portuguese is the most widely spoken language in South America, with over 180 million speakers in Brazil alone. In Africa, two Portuguese-speaking nations, Mozambique and Angola, are experiencing rapid economic growth after the end of civil conflicts as production of their oil and minerals increases.